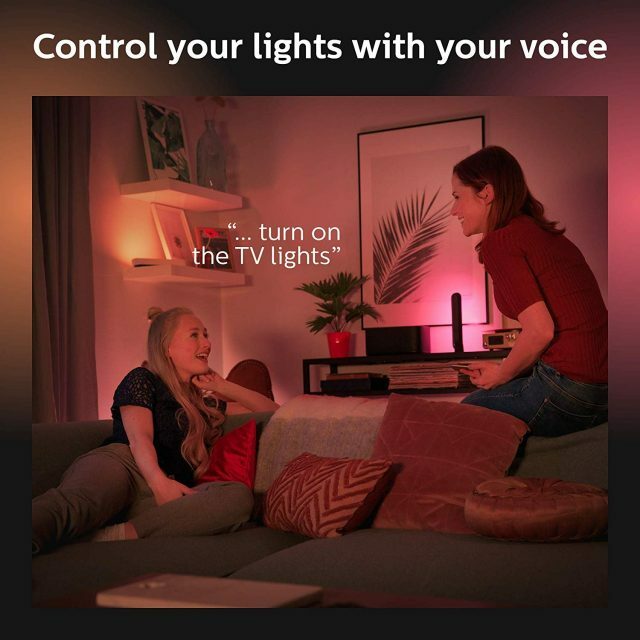 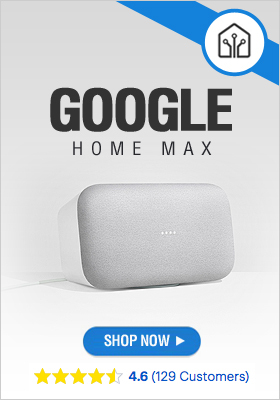 Voice control Control your Philips Hue lights with your voice using Alexa, Apple HomeKit, or Google Assistant. 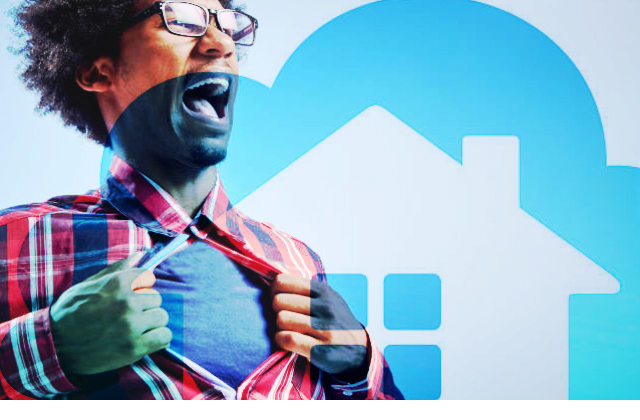 Pair it for home automation with your existing Nest products or Samsung SmartThings system. 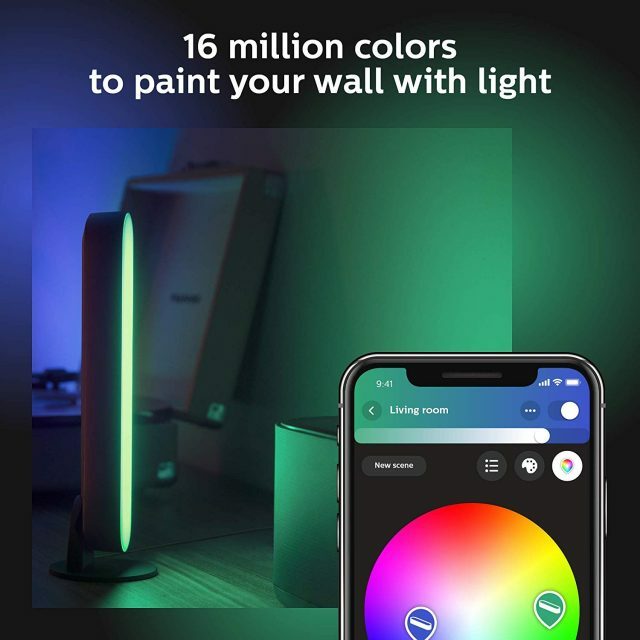 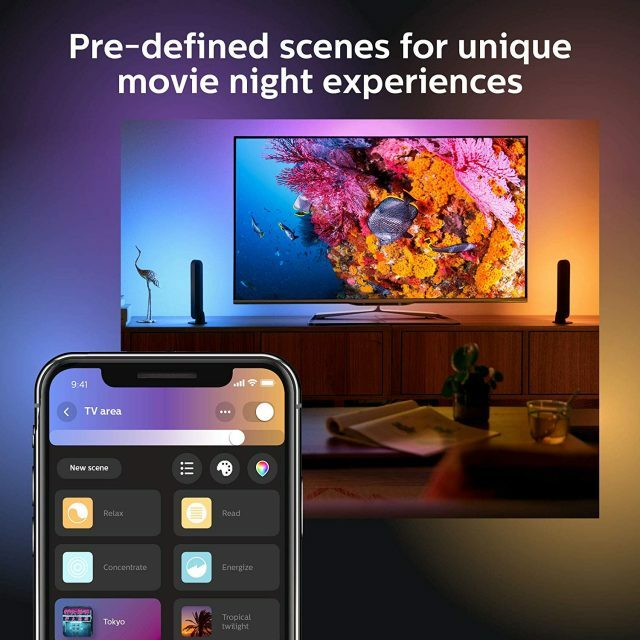 Philips Hue Play adapts to your living room design and blends with your interiors seamlessly You can let it stand on your cabinet to create a pleasant ambiance, mount it on the back of your TV or even lay it flat on the floor to brighten your walls from floor to ceiling. 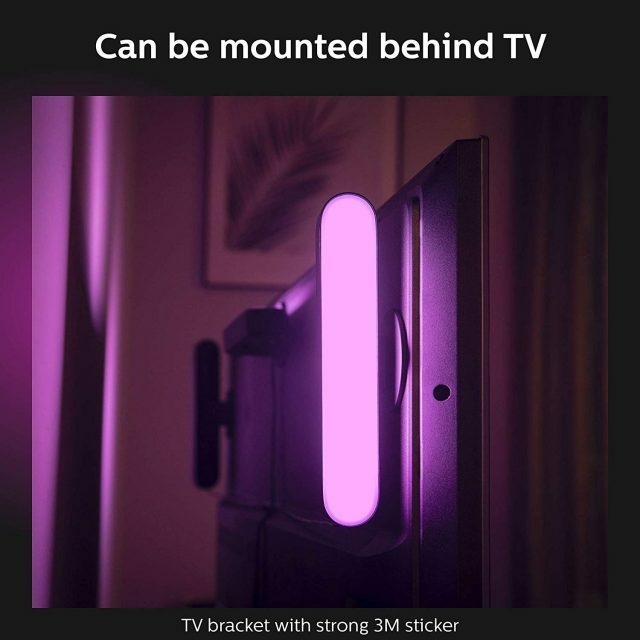 Create the most beautiful backlight for your television Just mount Philips Hue Play behind your screen using the clips and double-sided tape included in the pack, and enhance your viewing experience with splashes of light surrounding your television. 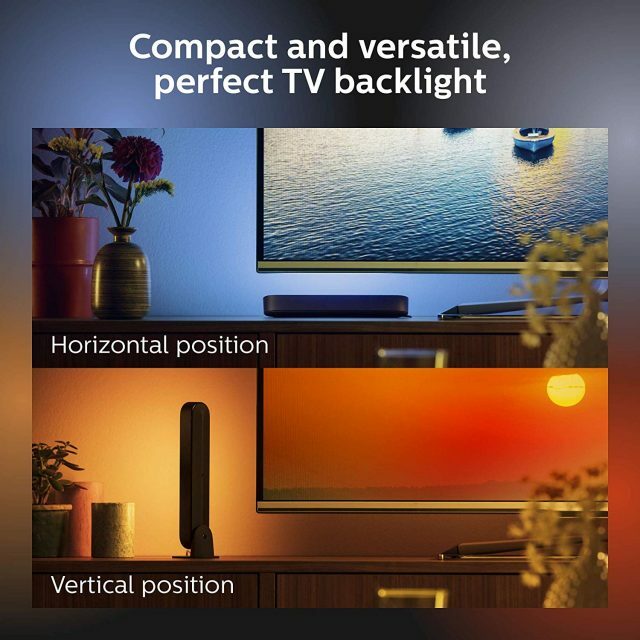 One socket. 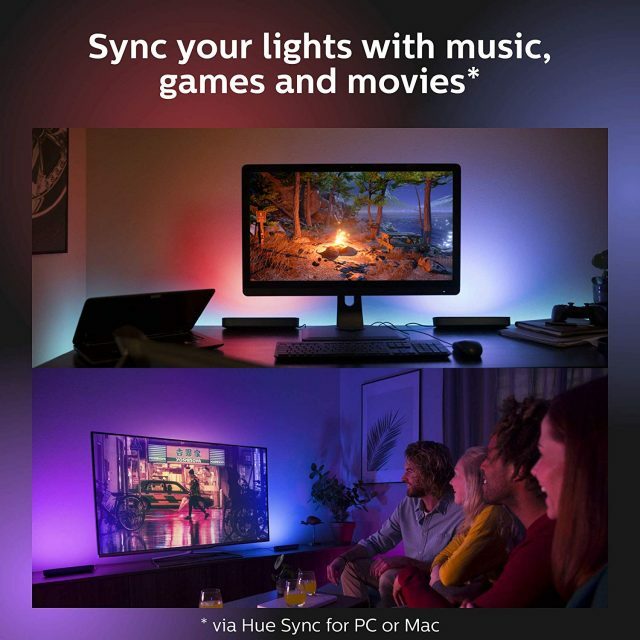 3 Hue Plays Connect not only 1, but up to 3 Hue Plays to the same power supply unit, leaving enough room for other devices. 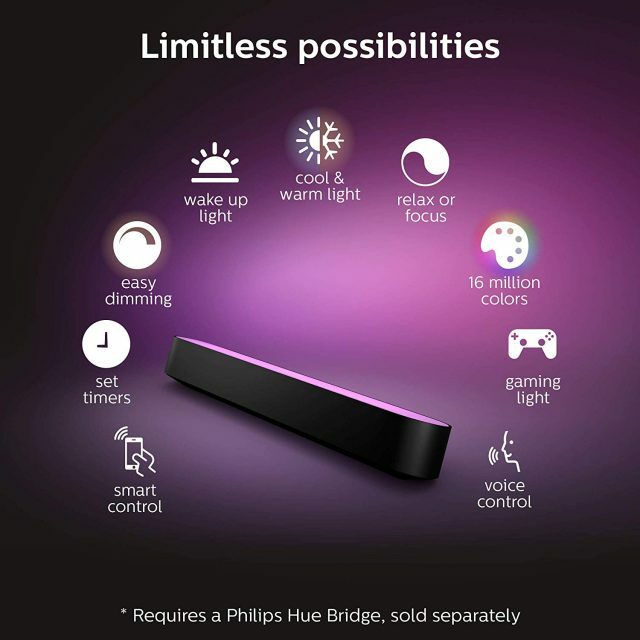 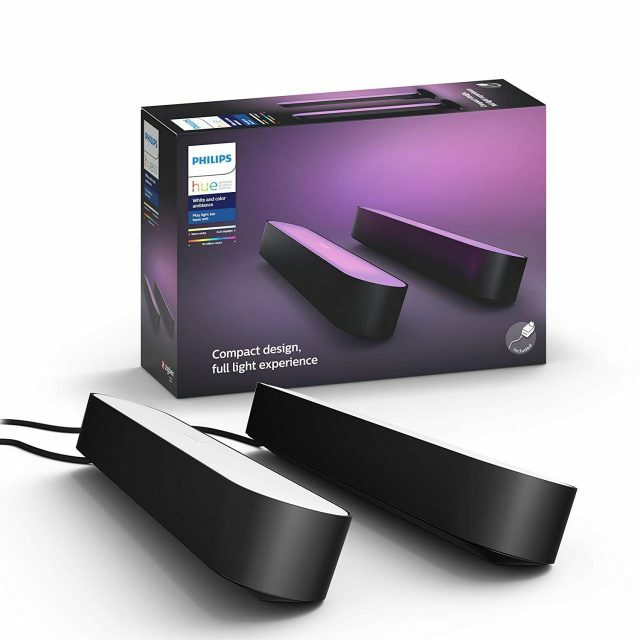 With each additional Hue Play, your light experience becomes even more immersive.